Ecommerce and supply chain innovations such as dropshipping have combined to accelerate the overall speed of commerce. Dropshipping, however, is snail-speed compared to potential offered by 3D printing. For some industries - such as any spare parts, toys & games, medical devices, and others - the time from order to delivery will be the time it takes to push the “Print” button. 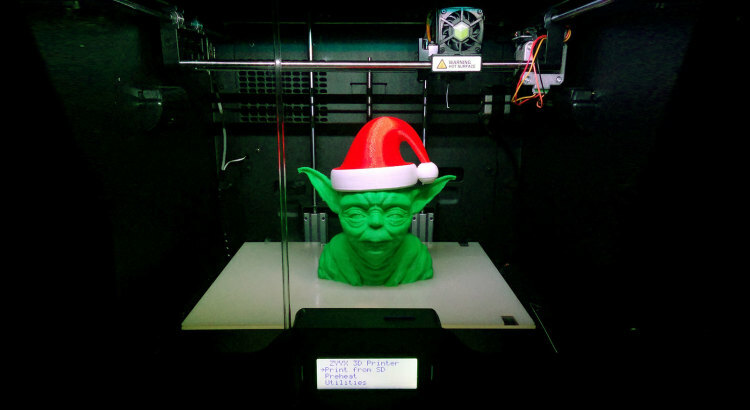 3D printing is going to transform ecommerce, and in some cases, already is. How should you make sure you're ready? First, let's start with how someone is using 3D printing to upend an industry. Doll-making is a $3.5B industry, representing a full 10% of of the roughly $34B toy industry. Traditional doll development requires the creation of an inject mold, which can cost tens of thousands of dollars to create. Because of that cost (plus designing and creating the packaging, shipping, etc.) you don't create a doll unless you have a strong belief that it will be a blockbuster, which means further up-front development & testing. And you don't end up creating that many different dolls since you need each one to succeed. Enter MAKiES, a service that is using 3D printing to revolutionize the doll industry. Alice Taylor, founder of MAKiES, realized that with 3D printing you could design infinitely many doll heads, bodies, parts, and accessories since there the only up-front development cost is the design! That is, a product can be designed digitally & launched digitally online instantly. Any consumer can then buy the doll part which can be printed out on-demand and mailed in standard packaging (the packaging is no longer required to sell the product on a shelf; the “packaging” is the product's detail page online). Depending on the cost of design - which can be zero if crowdsourced - selling just one version of a single doll part design can be profitable. Critically, a consumer does not require a 3D printer for this model to work. 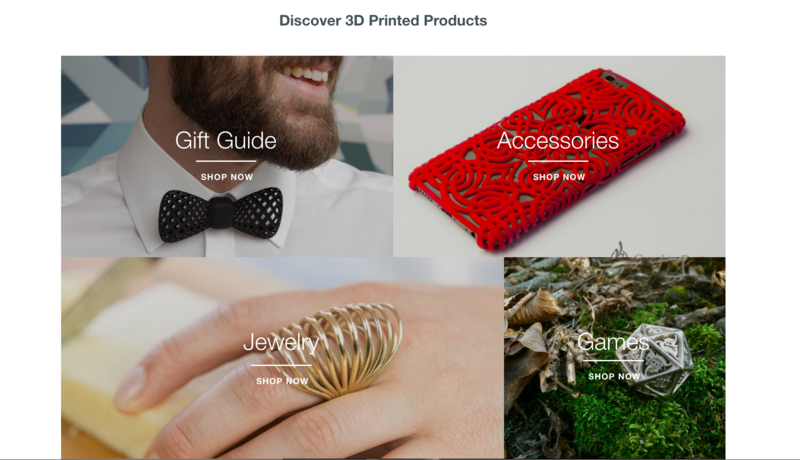 Beyond Dolls: Who Else is Using 3-D Printing in Ecommerce? Shapeways is a 3D printing marketplace that sells jewelry, dice, games, desk gadgets, miniatures, and other accessories, all designed by their community. SOLS sells 3D-printed insoles for shoes, which will fit your foot better than any mass-produced insole out there. proto labs manufactures industrial parts for prototyping and low-volume production usage. Their motto: “Real parts. Real fast”. Exactly. More startups are popping up all the time in different industries. I know that most companies are not (yet) experimenting with 3D printing to develop new products all the time, but the trend is inexorably towards faster communication and innovation across the digital supply chain, 3D-printing or no. The customers we have that have seen the biggest sales growth through ecommerce channels have been the ones that have built centrally managed teams that are organized to respond quickly to market demands and new channel opportunities. But having such a team isn't enough; the team also must have the latitude to be able to operate as fast as modern ecommerce demands, and not as slow as old-school brick commerce has moved. The biggest change that ecommerce leaders need to push for within their organizations is faster processes. So often we hear that updating product content (even to meet a retailer's information requests!) takes weeks due to necessary legal review. These antiquated processes slow sales in the short term and potentially cede incredibly important search rankings ground to competitors (early content helps win the SEO battle). Moreover, as companies invest more in ecommerce-optimized images (CGI, pixel-perfect images with enlarged callouts) and channel-optimized copy (the Walmart and Diapers.com shoppers are different personas), their internal processes for creating, publishing, measuring, and updating content through every channel has to become more fluid and less bulky; instead of bi-annual refreshes, updates become continual through all channels. It is vitally important that you map your critical go-to-market processes and prioritize where you can take "air" out of them. As Fast as You Can Press "Print"
It has taken decades for 3D printing to become both cheap enough and high quality enough to start producing high quality, small goods at scale for consumers. MAKiES is among the first generation to bring that technology to the masses in a product that is starting to upturn an industry. Companies that embrace how 3D printing enables instant commerce have an unprecedented advantage in designing and delivering new products, which means more at bats to discover the next major blockbuster cash cow than the competition. But whether or not you think 3D printing is right for you, you should prepare your organization to move at 3D speed. Rob Gonzalez is a co-founder and the VP of Business Development at Salsify. Tweet at him @gonzofy. 1Diamandis, Peter H.; Kotler, Steven (2015-02-03). Bold: How to Go Big, Create Wealth and Impact the World (p. 40). Simon & Schuster. Kindle Edition.